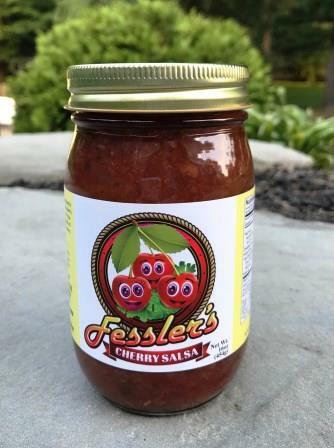 Tart Michigan Cherries make this Cherry Salsa sweet with medium heat. Pork, Chicken or Fish is enhanced with the flavor of this fantastic flavorful salsa. Perfect for chips. Great as a gift or a treat for yourself. 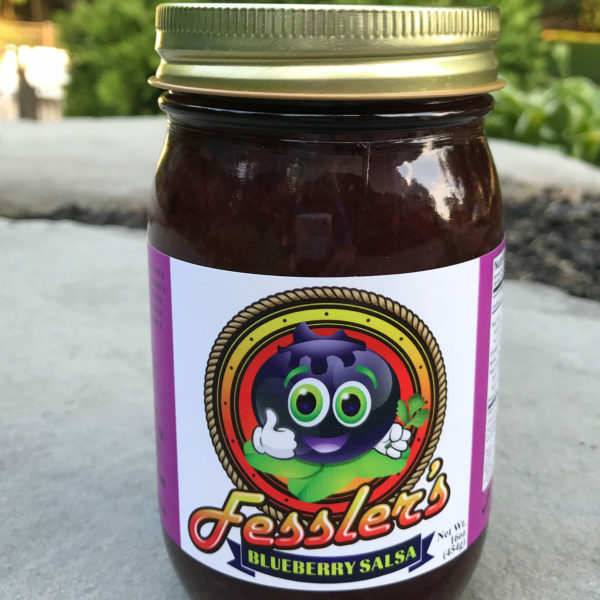 Cherry Salsa enhances the flavor of many dishes. Try it on a Chicken Quesadilla or pair it with a pork. Dip Parmesan cheese whisps in it. Here’s a great recipe to try making your own Parmesan chips from Giada De Laurentiis. Such a great pairing! 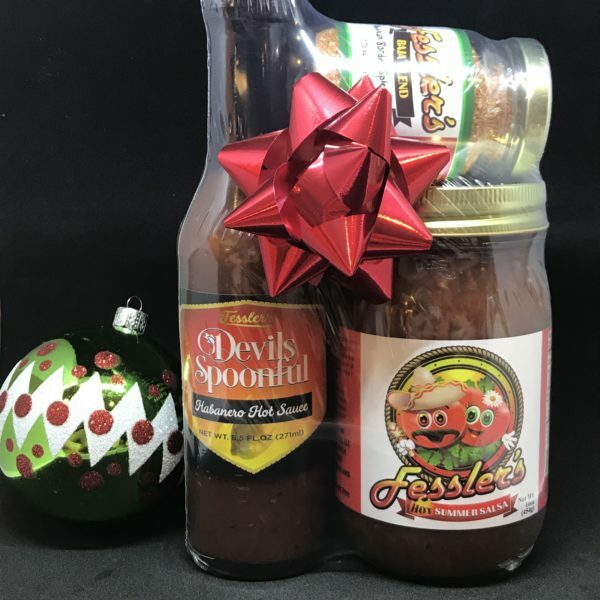 Love the salsa and my girls love it at first try and we love it. 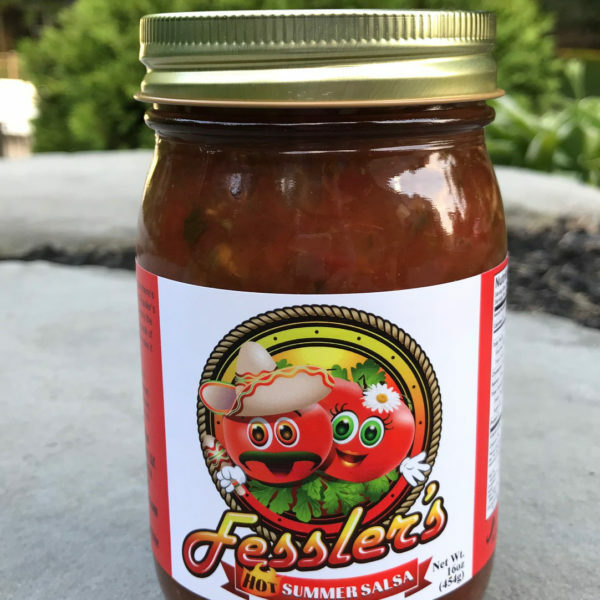 Thanks for this great salsa. Thank you!! We are happy you like it. 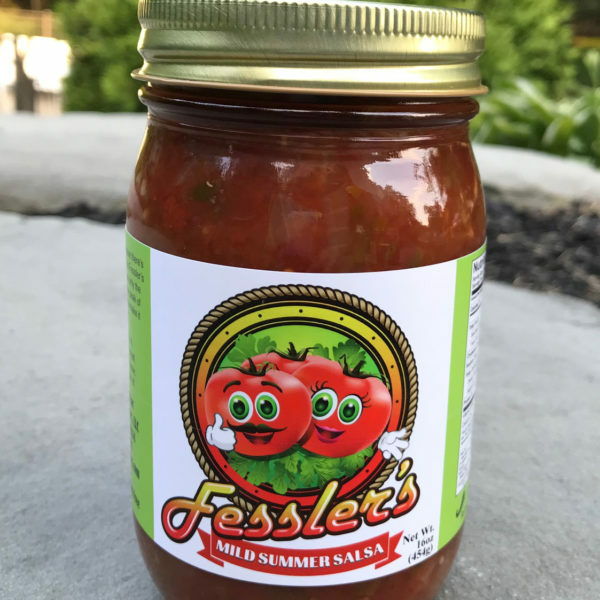 Hot Summer Salsa – Fessler’s brings it with Sweet Heat!